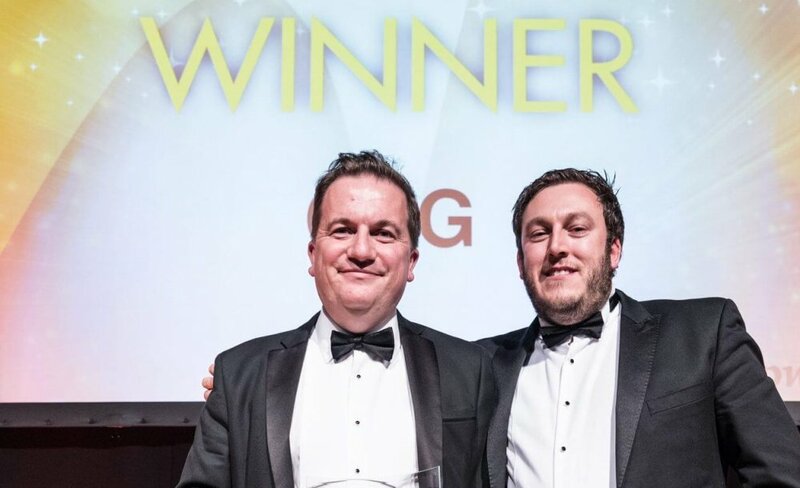 The building beat the White Collar Factory in London as well as other prestigious office developments around the country to scoop the award at last night’s London ceremony. The prestigious BCO awards programme recognises the highest quality developments and sets the standard for excellence in the office sector. The building has proved so successful, that CEG has already commissioned the design development of the next 200,000 sq ft of commercial space at the riverside, woodland Forge site.
" This award is a credit to the team. Architect Cooper Cromar responded to the challenge of setting a new context on this historic site; helping us achieve the highest quality of workspace, technical specification and maximising space, light and the greenery offered by this setting." The chameleon bar restaurant concept on the ground floor enhances the experience and occupier and visitor well-being. CEG’s ground floor office merges with the reception hall providing flexible space for the team. Zenith, which relocated its headquarters to the development, was able to input into the design and digital infrastructure resilience. The reinvention of the site by CEG will create up to 3,000 jobs, with the building having the capacity to accommodate a workforce of around 1,200 people. Built to a city centre specification, it is a sustainable development, the building has achieved an EPC A, WiredScore Platinum and BREEAM Excellent rating. The robustness and longevity of the materials was carefully analysed. The envelope is designed to the highest standards relative to thermal transmission, air permeability and solar transmittance. The building’s rooftop boasts 200 sq m of photo-voltaic array saving some 10,000kg of CO2/year. this is connected to a display screen in the reception, showcasing the contribution from the renewable energy systems alongside relevant information for building users. Sustainable travel is promoted through the onsite railway station, tailored travel guide, car share scheme, cycle and scooter hire and EV charging points. The riverside setting and green space are proven to reduce stress, blood pressure levels, heart rates and productivity. The dedicated estate management team take advantage of the BCO compliant shower facilities and cycle spa, provide running and cycling clubs, bootcamp and other events dedicated to health, wellbeing and socialising. The design ethos for the building form and envelope design was based on an industrial inspired design aesthetic; this was the starting point for the building interior. A machine like industrial quality was required but interspersed with warmer, more natural materials for the reception hall and common areas. To reinforce the idea of a ‘journey’ through the building, one material would always be retained from one space to the next, to ensure a subconscious ‘flow’ through the building. The material palate is contemporary, yet reflective of the site’s industrial heritage and woodland setting, and seamlessly fused with the clean lines of a commercial office environment. 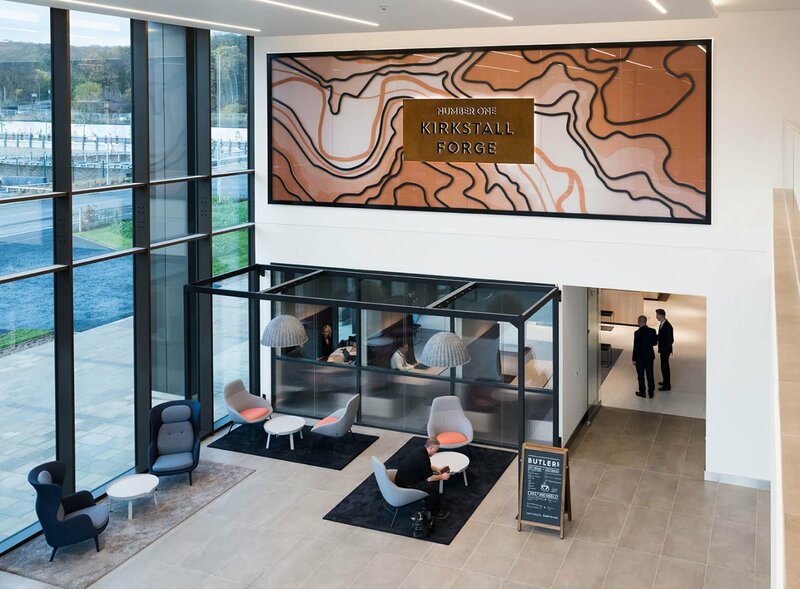 Ultimately the £400million Kirkstall Forge 57-acre site will comprise 1,050 homes and 300,000 sq ft of high-quality offices and 100,000 sq ft of leisure, shops and restaurants. The oldest continually industrialised UK site, its revitalisation intertwines placemaking, industrial heritage, sustainability, cultural values and quality, providing arguably one of the largest and most inspiring regeneration projects in the North of England. CEG is also delivering up to 1.5 million sq ft of commercial space at South Bank just minutes’ walk from Leeds City Station.